Founded in 2004, Haute Living is a luxury lifestyle magazine that has a popular digital counterpart; hauteliving.com. The website features luxury products, real estate trends, travel, interior design and more, keeping over half a million readers each month updated on the latest in luxury lifestyle. The beauty and wellness section of the Haute Living website samples some of the best products on the market, while highlighting the industry’s most exciting news stories. One of their latest articles, “8 Skincare Treasures Made with Diamonds and Precious Metals”, takes a look at products that contain some of the most precious elements on earth, investigating the difference that they make to the skin. 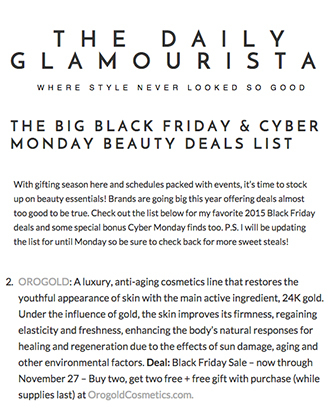 OROGOLD was delighted to see that our products were featured twice on this luxurious list. 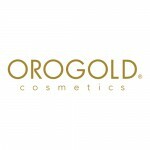 The first feature was the OROGOLD 24K Cryogenic Diamond Mask, accompanied with a beautiful large product photo. Described as “a gorgeous blend of 24-karat gold, vitamins and diamond dust”, the editor explains that “this non-abrasive mask will add shine while helping to reduce the appearance of wrinkles.” The editor tried out the mask while in a warm bath, which she said “worked beautifully”, as it was cooling on the face and “the ultimate in at-home spa-time pampering”. 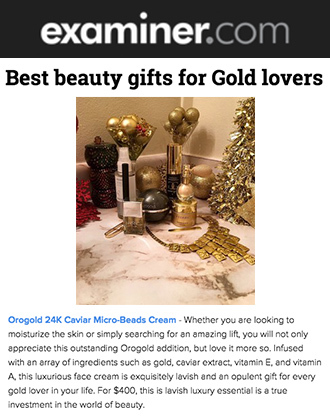 The second OROGOLD feature on the list focused on the OROGOLD 24K Men’s Collection, which is again accompanied by a great product photo. 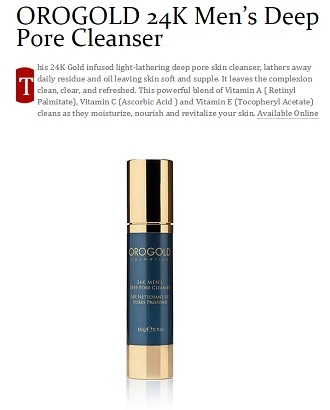 The editor acknowledges that “shaving can be hard on your skin”, but points to the unique ingredients in the OROGOLD Men’s Collection products to help counter this, with the green tea in particular being one that hydrates the skin while reducing the appearance of fine lines and wrinkles at the same time. After confirming that each and every product in the collection has a subtle yet masculine scent that does not overwhelm in the slightest, the editor goes on to choose her favorite product in the collection; the 24K Pre-Shave Facial Serum. The product is described as having “a satin texture [that] provides exceptional cushioning for a close, accurate shave”. 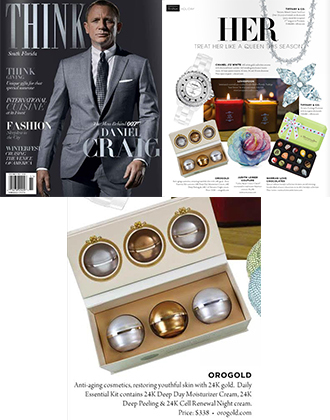 OROGOLD is extremely happy that the editor enjoyed our products, and we would like to thank Haute Living for the two features. If any readers are curious about the two products mentioned, feel free to stop by at an OROGOLD store near you for more information and product demonstrations.